2. Length of games shall be two (2) twenty-five (25) minute halves, no overtime; referee may not add time for any reason, but time will be extended for any penalty kick called before expiration of time. 4. The start of all games, half-time, the start of second half and game end will be signaled with a horn at each site. A five (5) minute break will be allowed at half time. A team not on the field within three (3) minutes of the starting time or second half will forfeit the game. No injury time will be allowed. All times will be kept at the site by the tournament committee or its designee. 5. If a player is sent off from a match, the player will not be replaced. Any player or coach sent off the field (both players and coaches are shown Red Card) will be prohibited from participation in the balance of the tournament. Exceptions: (a) player sent off for denying a goal by handling may participate in balance of tournament without sitting an additional game; and (b) a player or coach sent off for 2 cautions in same game will sit out next game. Any player or coach receiving a red card must present himself to the tournament director or designee before his next game. Any player or coach accumulating two yellow cards in separate games for whatever reason must sit out the next game. A player or coach receiving a third yellow card is prohibited from participation in the balance of the tournament. All cards issued will be reported to the sanctioning authority or teamâ€™s home league for additional disciplinary action should it be warranted. Referee will complete a USSF report if requested. A coach who removes his or her team from the field will be prohibited from participation in the balance of the tournament; the team will be allowed to continue to compete, but they will be ineligible for trophies. There is no appeal whatsoever to this rule. 6. No protests will be permitted or entertained. 7. Forfeited games will be declared a 2-0 score, but the tournament committee may reschedule any games to ensure equal play. A team that has forfeited a game will not receive trophies regardless of the number of points that team has accumulated. 8. SMALL-SIDED: The field of play will be approximately 40 yards by 60 yards. Goal area and penalty area shall be, respectively, six (6) and twelve (12) yards from each goal post and six (6) and twelve yards (12) into the field of play, joined by a line drawn parallel with the goal line. Goal size shall be (approximately) six and one half (6 1â„2) feet or seven (7) high and eighteen (18) feet wide. Penalty kicks in small sided shall be taken ten (10) yards from the goal line. All other players except goalkeeper shall be outside the penalty area, 10 yards away and behind the ball. Observe normal off-sides rules. Punts, throws or other releases from hand possession by the goal-keeper and all goal kicks shall not cross the midfield line without first touching the ground or a player. The opposing team will be entitled to an indirect free kick from the midfield line for violation of this rule. If a keeper making a save then places the ball on the ground, he may be immediately challenged; if the ball is outside the penalty area, it may be kicked over midfield by the goalkeeper. 9. The maximum number of players on the field per team shall be seven (7) for small sided and eleven (11) for full sided, including a designated goal-keeper. If five or seven (respectively) eligible players cannot be fielded a forfeit will be declared. 10. In the event a game cannot be completed due to weather or other external reason, the score will stand if the first half was completed. In all other cases, the tournament committee will decide the result of the game. 11. Home team will provide game ball if not provided by the tournament. Home team will change uniform if a color conflict, but we urge teams to cooperate to avoid color conflict well in advance of game time. The home team is listed first on the schedule. 1. All players in the U8, U9 and U10 divisions will receive recognition awards (e.g., tournament patch or medal). The tournament is non-results oriented for U10 and below. Teams are encouraged to keep goal differentials to 6 or fewer each game. 2. All players in the first-place and second-place teams in the U11-U12 flights will receive awards. 1. This tournament is sanctioned by US Club Soccer and is open to all USSF affiliated organizationsâ€™ teams. Proper proof of team and player registration is required upon check-in. If the tournament is cancelled for any reason before the start of the tournament, registered teams will be refunded at least 80% of the registration fee. Once the tournament begins, no refunds will be made. The tournament committee will be responsible for team acceptances, tournament format, game scheduling and assignment of referees. 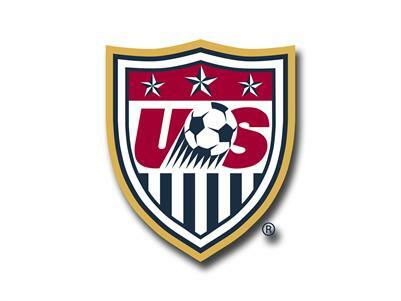 Referees are USSF certified. 3. The tournament committee reserves the right to decide on all matters pertaining to the tournament. This includes, but is not limited to, rescheduling a match, duration of games, change in flighting, and cancellation of games. Neither the Maroons Soccer Club nor any of its representatives will be responsible for expenses incurred by any team for any reason. 4. The tournament committee’s interpretation of the rules and regulations shall be final. The tournament committee shall be comprised of the Tournament Director, the President of the Maroons Soccer Club, the Games Scheduler/Referee Assignor and such other individuals the tournament director may appoint. 5. Coaches and players will be in the designated area for teams on the same side of the field; they are limited to a 10 yard wide area 5 yards from midfield as the standard FIFA technical area. All spectators will be on the opposite side of the field, directly opposite their team; spectators may not be in an area opposite the penalty areas. Behavior of spectators remains the responsibility of the coach. The referees, field marshals and tournament officials are authorized to direct ay spectator to leave, whose behavior in his or her sole discretion, is inappropriate or interferes with the game; if the spectator refuses, the game will be terminated and the team whose spectator refused to cooperate will forfeit the game. Coaches and/or team mangers are responsible for the conduct of the players, supporters, fans, etc. at all times while on the tournament sites. 6. Golf Cart Policy – You must have a valid New Jersey Drivers License to operate a golf cart at this event. 7. Each team should come with a first aid box and is responsible for all medical care for its players. While the tournament usually provides a school sports trainer solely at the main site, this is merely a courtesy as part of the tournament operations. Any player in need of medical attention that the coach cannot handle should be brought to the main administration tent; if a player cannot be moved, call for an ambulance. 8. Severe misconduct will result in players or entire teams asked to leave the tournament without refund. 9. Please pick up after your team, particularly in the team areas, after every game; garbage receptacles are provided near all fields. Smoking, use of tobacco products and alcohol are prohibited at all tournament locations, meaning the fields, school and park grounds and parking areas. 10. Teams must be prepared to be checked in by field marshal at least 30 minutes prior to game time. Teams must present roster, player passes and coachesâ€™ passes to the field marshal. Players will be checked for identification and equipment/apparel. At the same time, team captains will meet with the field marshal for the coin toss; visiting team calls the toss and team winning the toss chooses which side to defend. Home team selects which sideline half to use for its bench area during the game.